I’ll admit I’m not the main cook in our family – thanks, Steve! – but I do have a few dishes that I rely on to get a good, healthy meal on the table, and this is one of them. 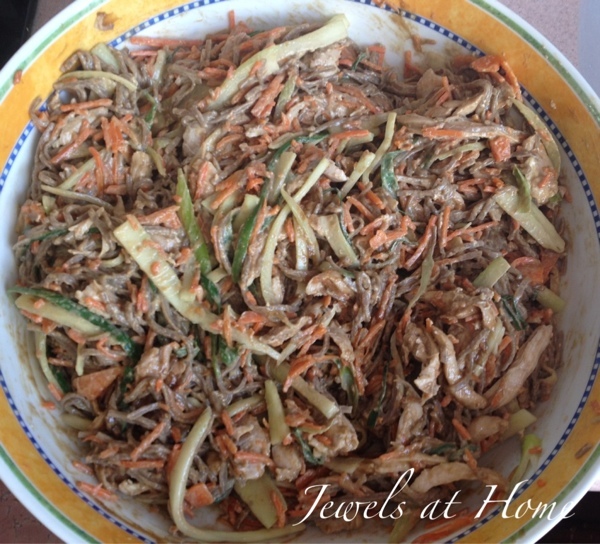 Our whole family loves the taste of this take on Chinese sesame noodles, and I love that you can pack it full of veggies that the kids will eat. Since it can be served cold, it’s also a good meal to make ahead for hectic weeknights. Shred carrots to similar width as noodles using mandolin or food processor. Boil until soft, about 10 minutes. Slice cucumbers into thick strips with a mandolin or knife. Slice green onions into long strips with a knife. Place in the bottom of a colander or sieve. Boil noodles according to instructions. Drain in a colander over the green onions, to soften the green onions. Sesame noodles full of vegetables! Mix the ingredients for the sauce together and then stir into the noodle mixture. You can serve this dish hot, cold, or anywhere in-between. 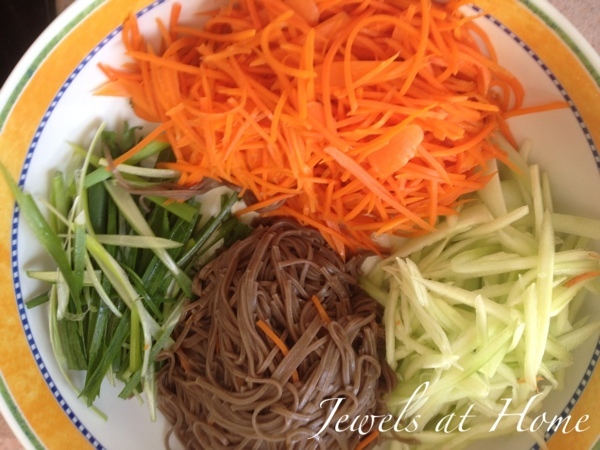 Asian sesame noodle recipe with lots of veggies the kids will eat! H0pe you enjoy this addition to your family’s menu!